This week’s A to Z Series prompt was gold! 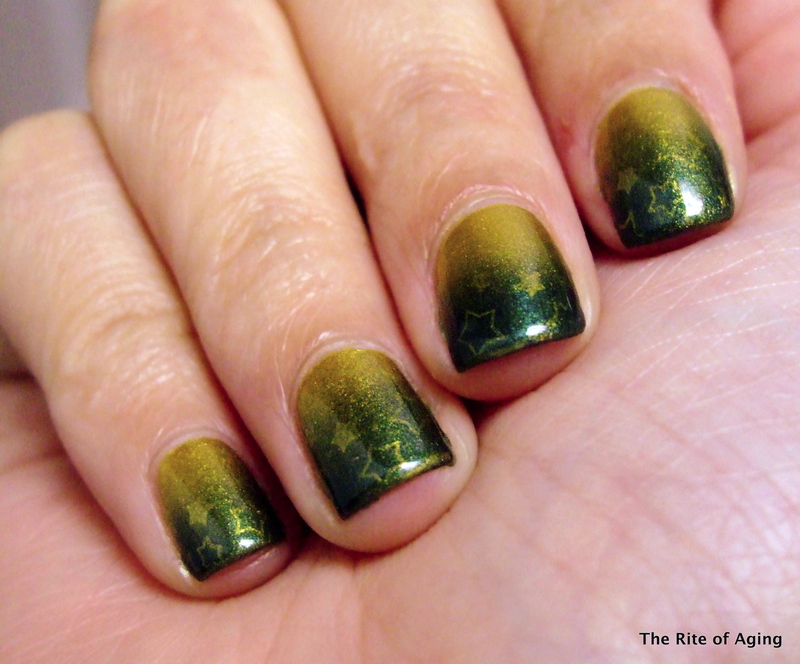 I was very excited because I had a reason to create a green and gold gradient. Green and Gold for the CSU Rams!!! Anyways, I hope you like it! I am particularly happy with the subtle stamping! I started with 2 coats of Zoya Goldie as my base. I used a makeup sponge, Zoya Goldie and Suvi for the gradient. I stamped with the same gold polish and MoYou London plate 08 (Festive collection). Check out the other gold manicures below!